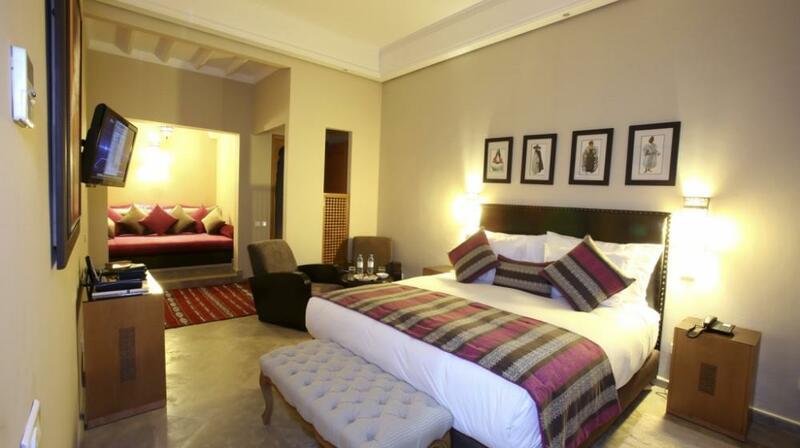 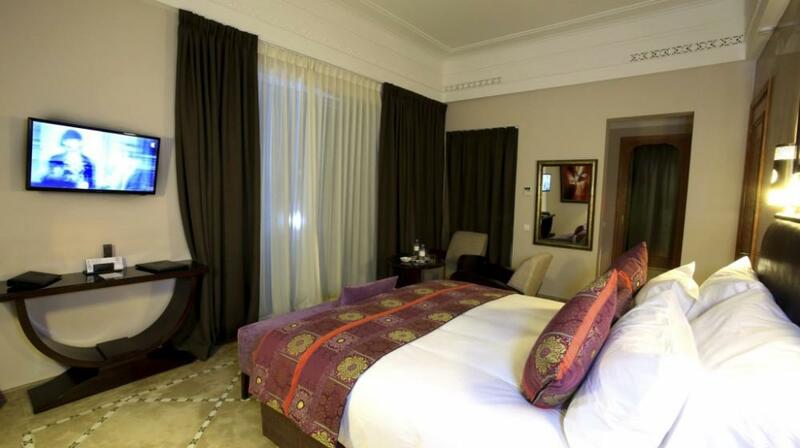 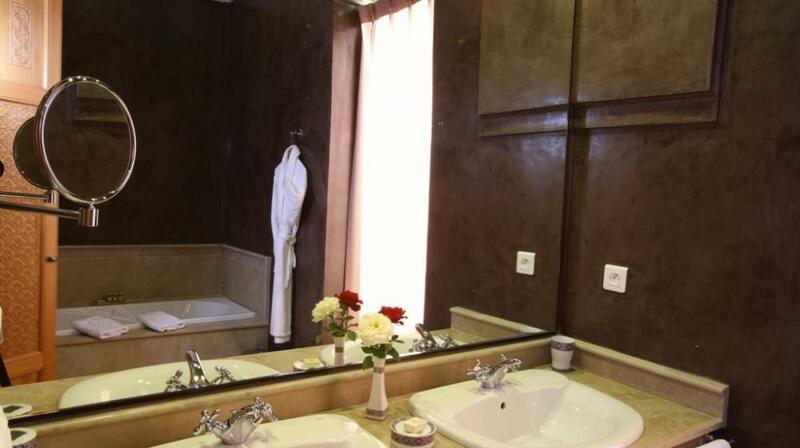 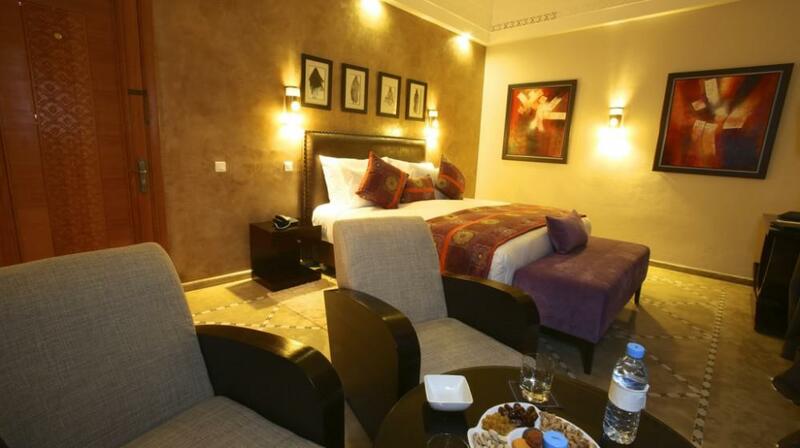 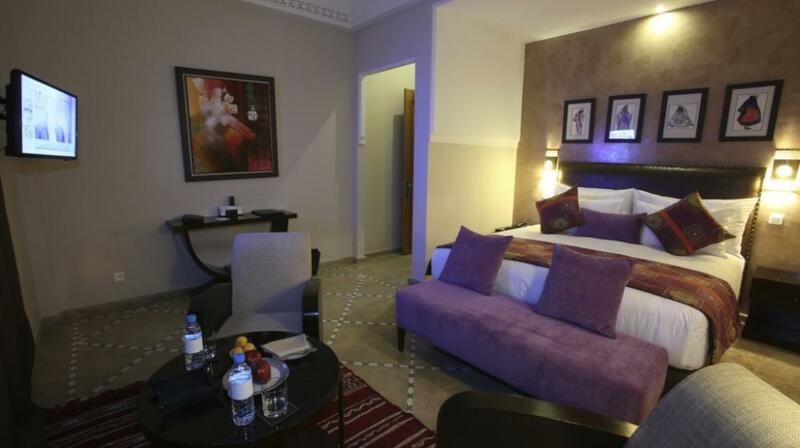 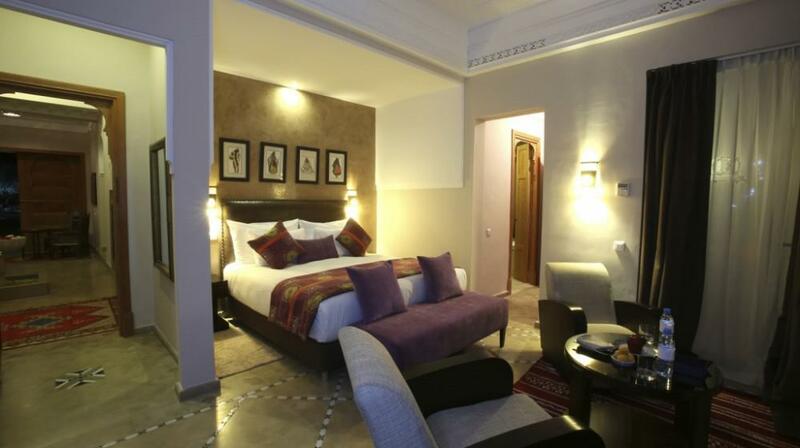 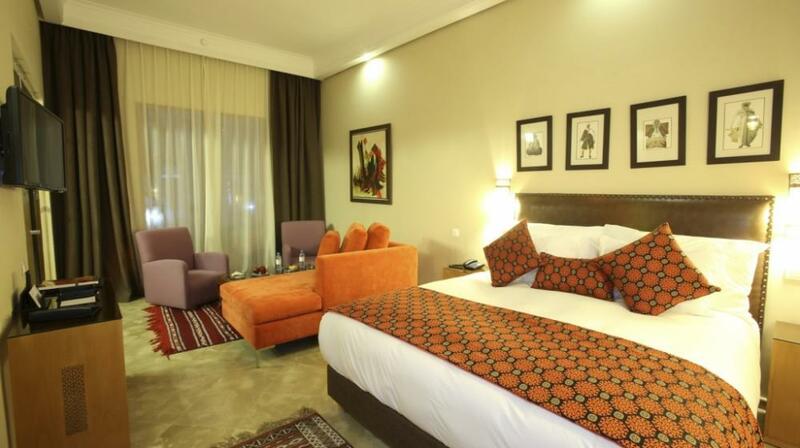 All rooms have a seating area, air conditioning, plasma screen; satellite, safe, spacious bathroom with daylight, King size bed. 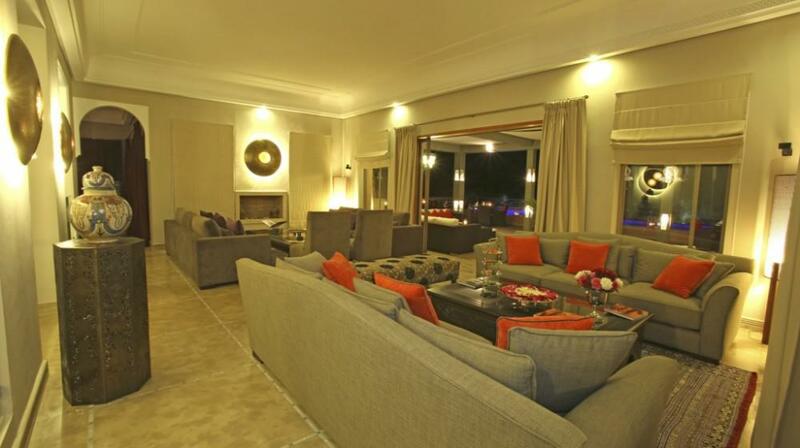 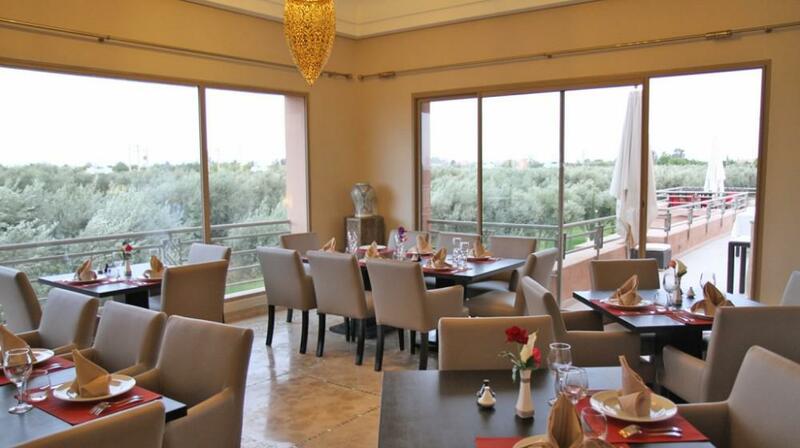 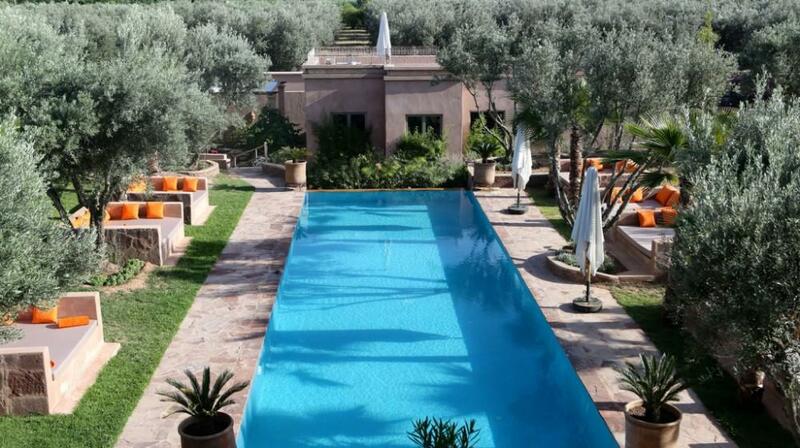 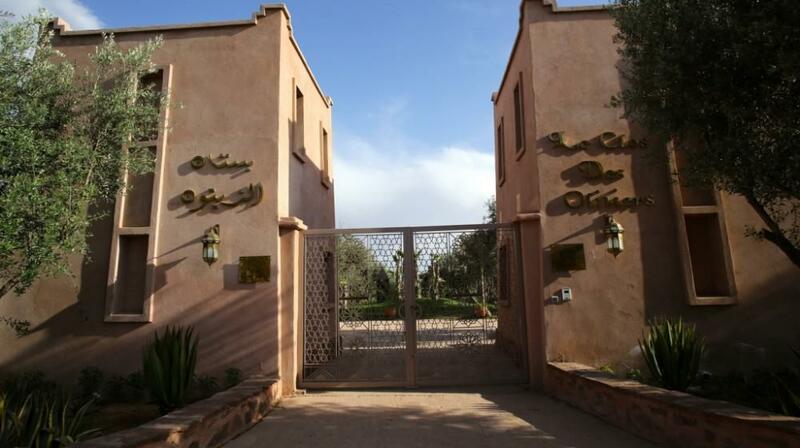 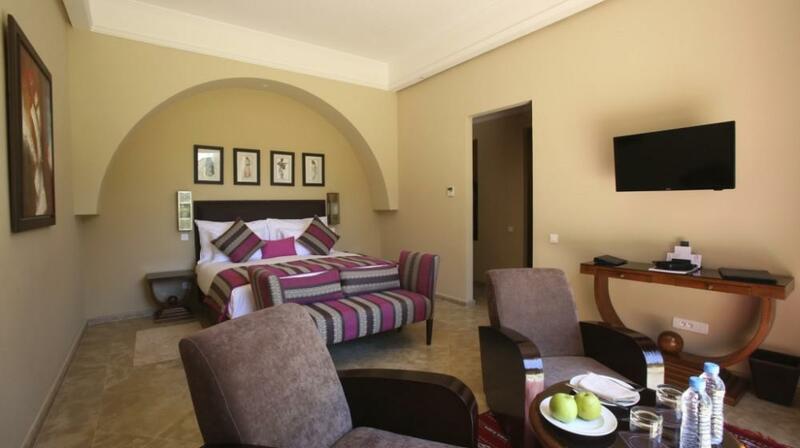 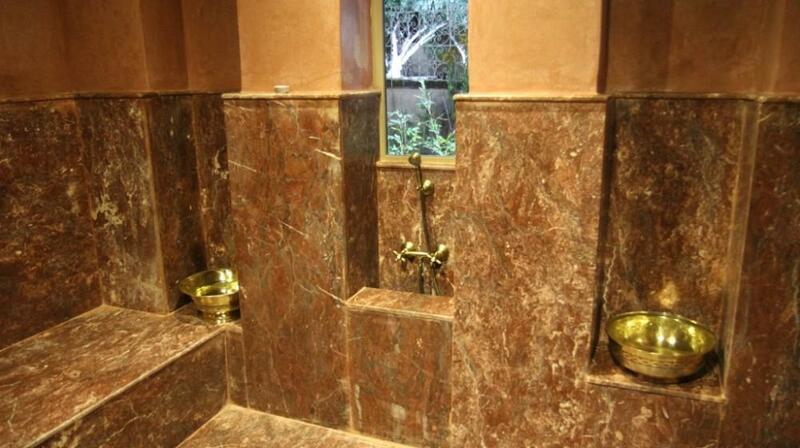 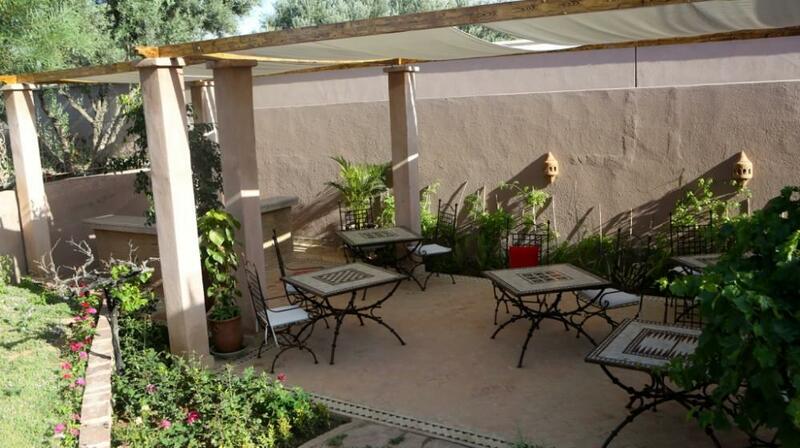 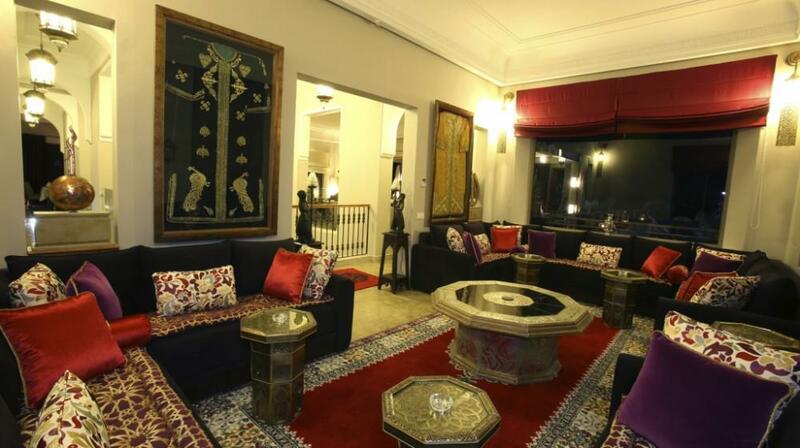 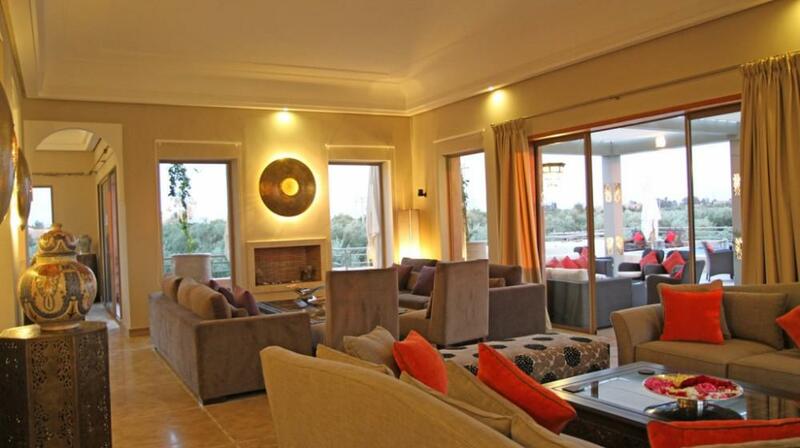 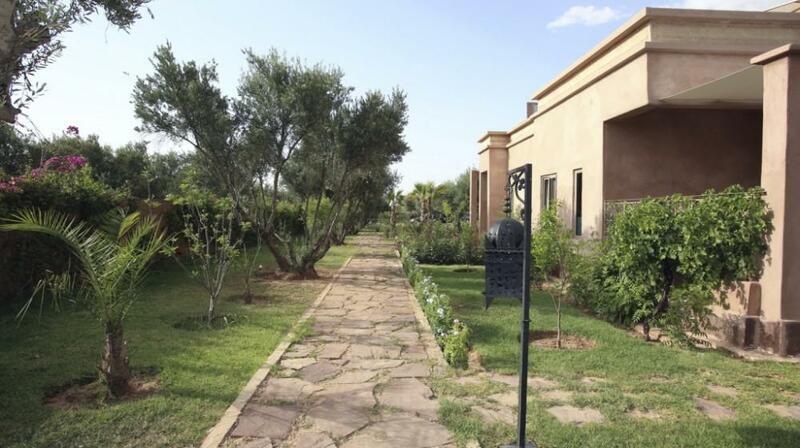 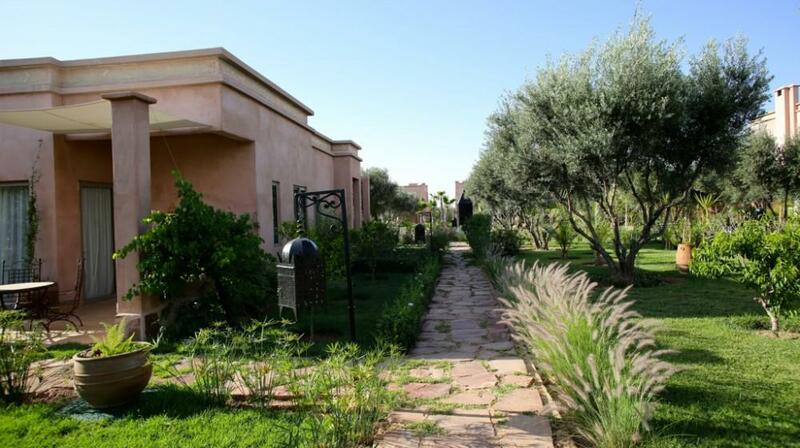 Le Clos des Oliviers offers Moroccan and Mediterranean cuisine. 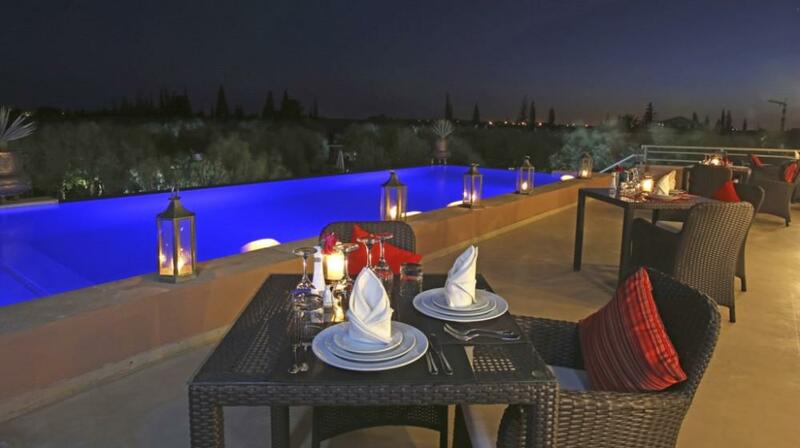 In addition to the gourmet restaurant with its terrace, you can also enjoy a private picnic lunch in the gardens or by the pool. 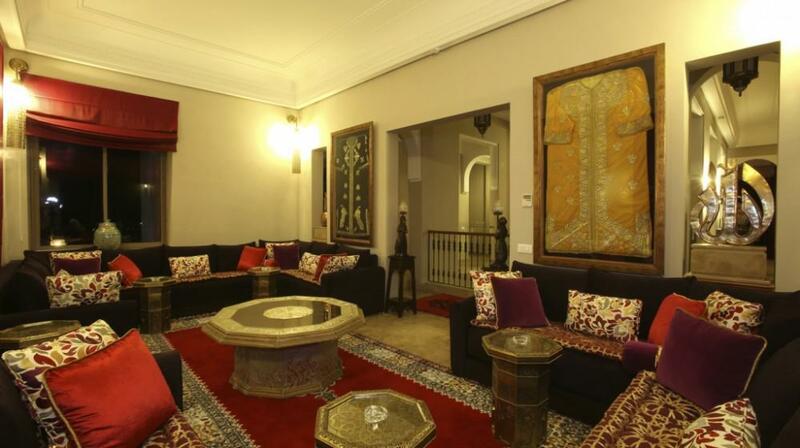 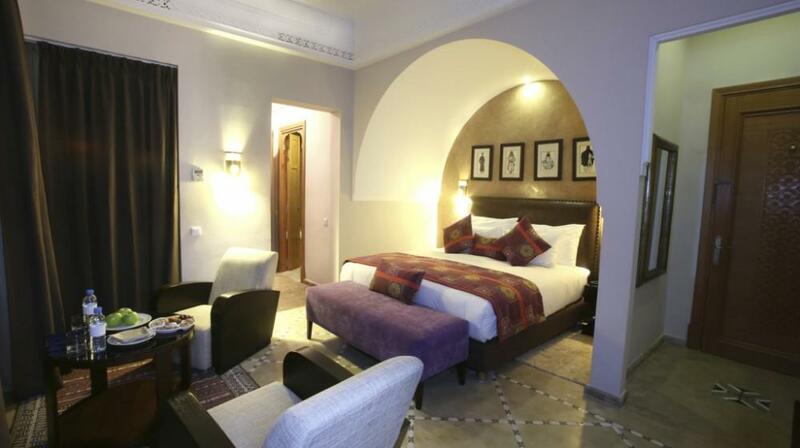 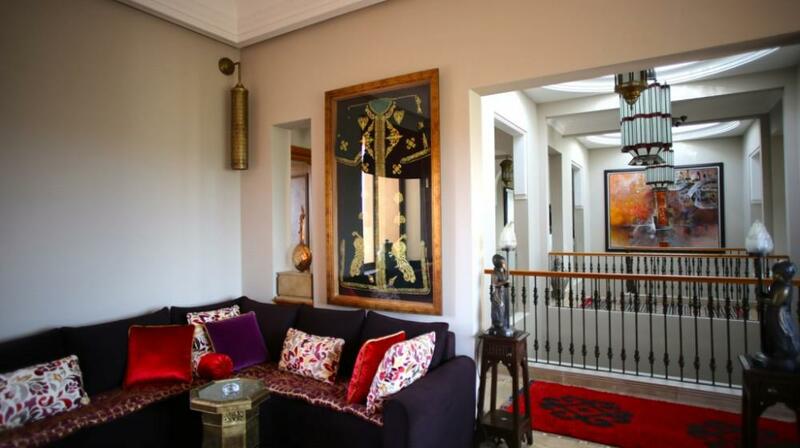 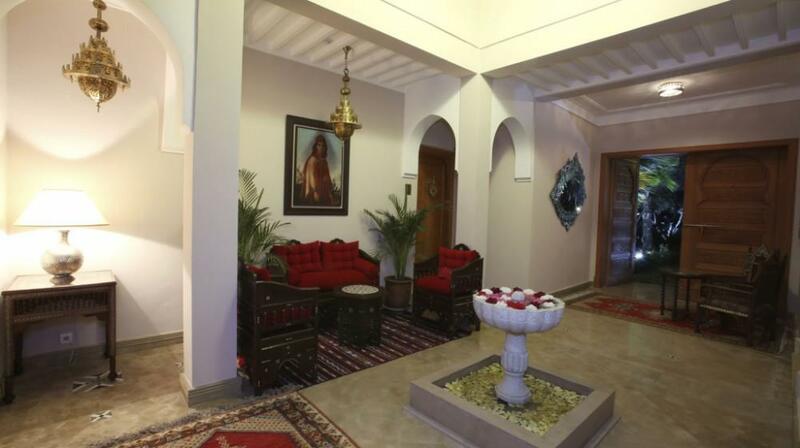 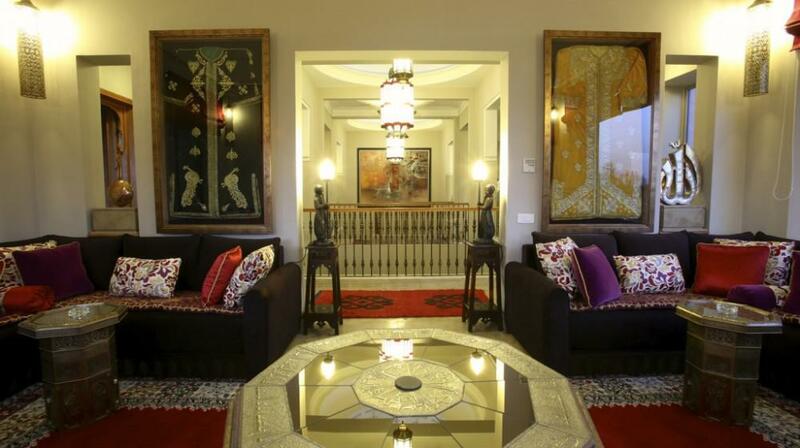 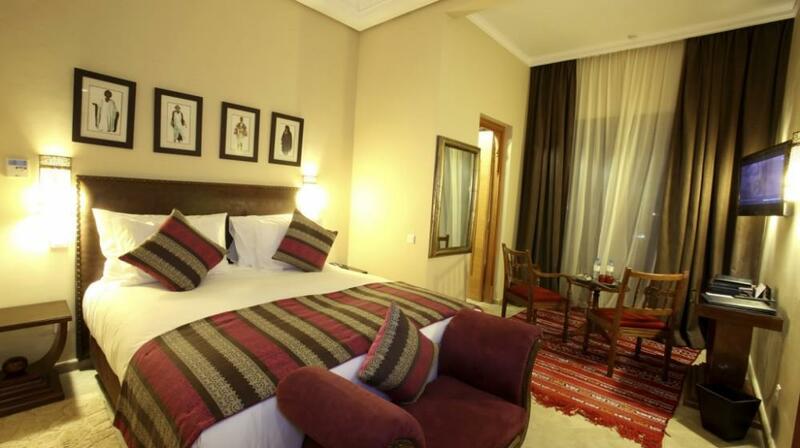 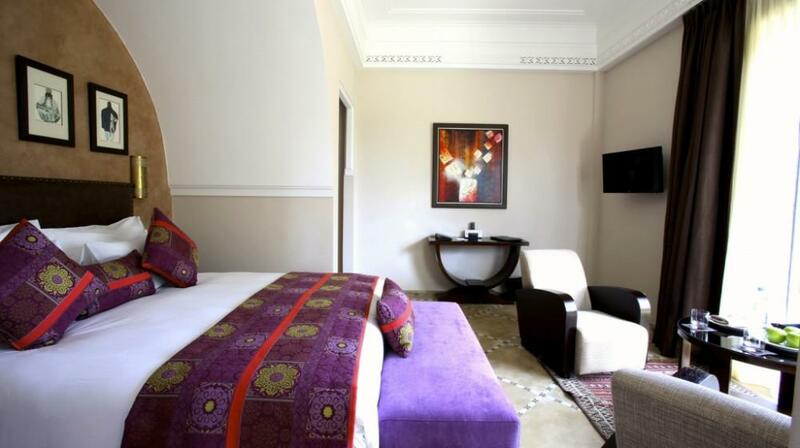 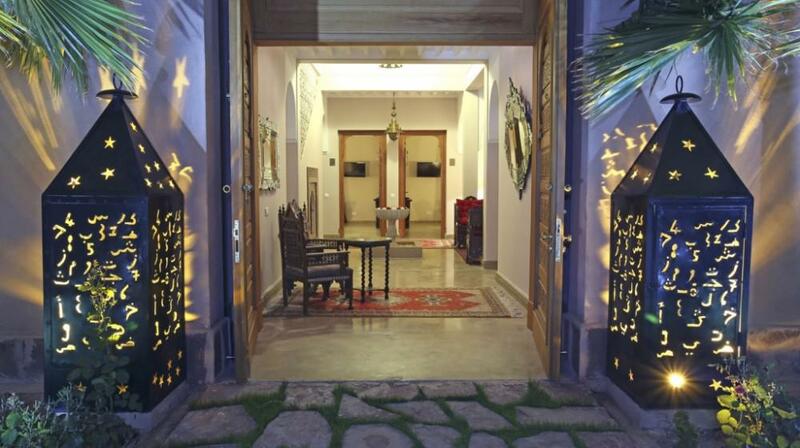 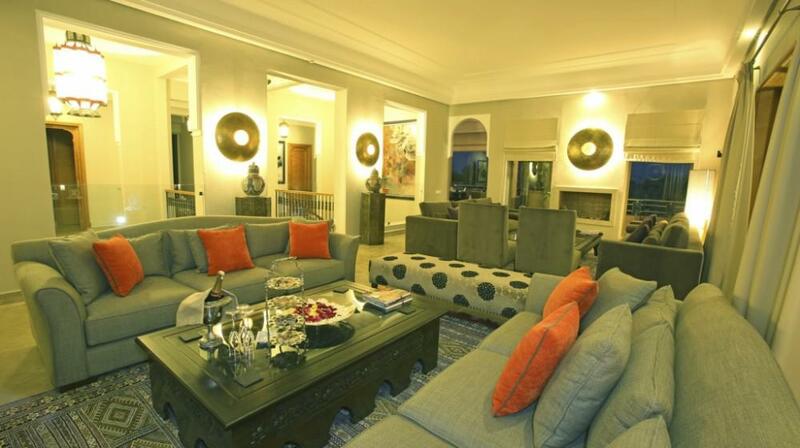 The guest house’s European and Moroccan lounges welcome you in a warm atmosphere, the Moroccan decor in the image of our culture or refinement of Moroccan craftsmanship is highlighted. 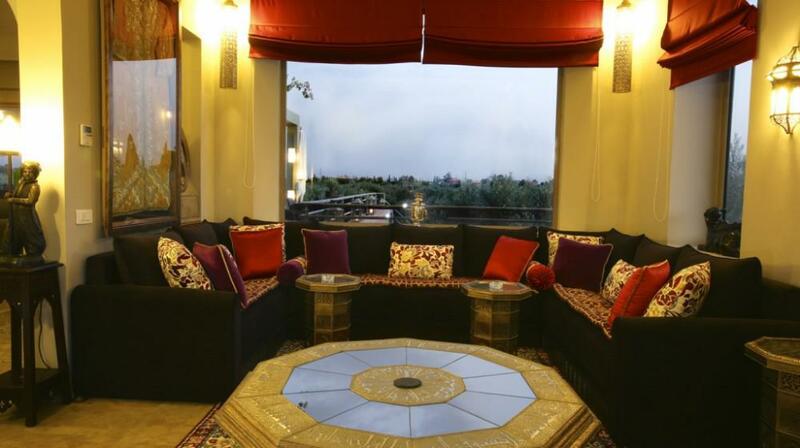 The European in a refined setting where the atmosphere is enhanced by its comfort and panoramic views. 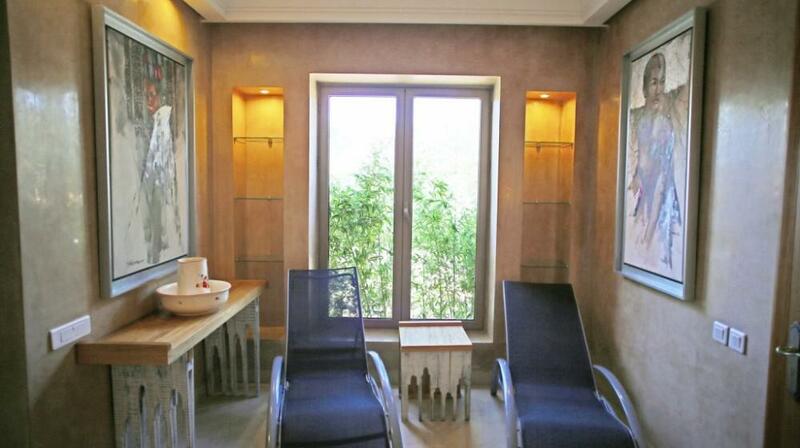 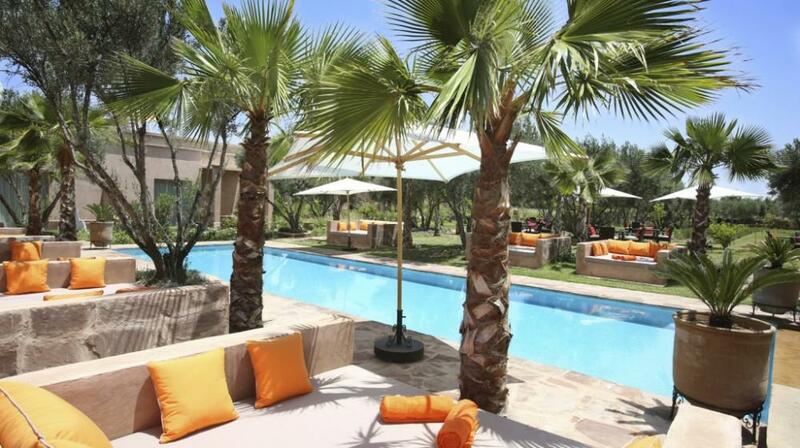 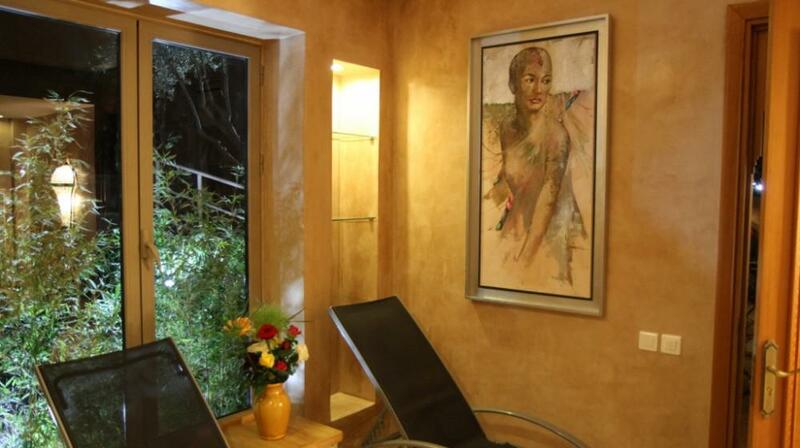 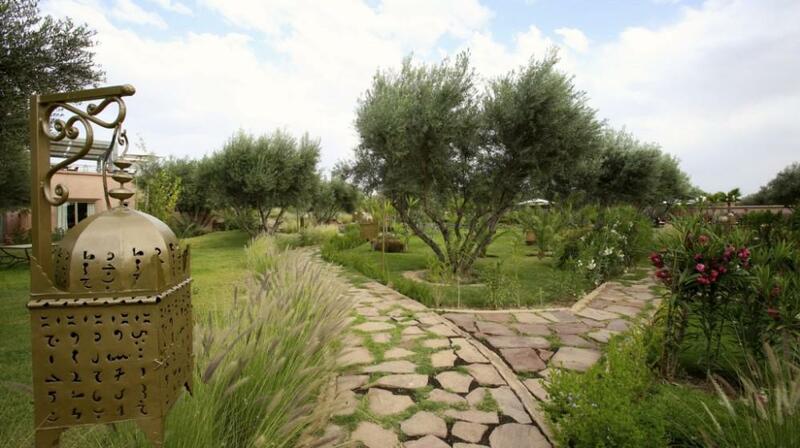 Le Clos des Oliviers means rejuvenate both body and mind. 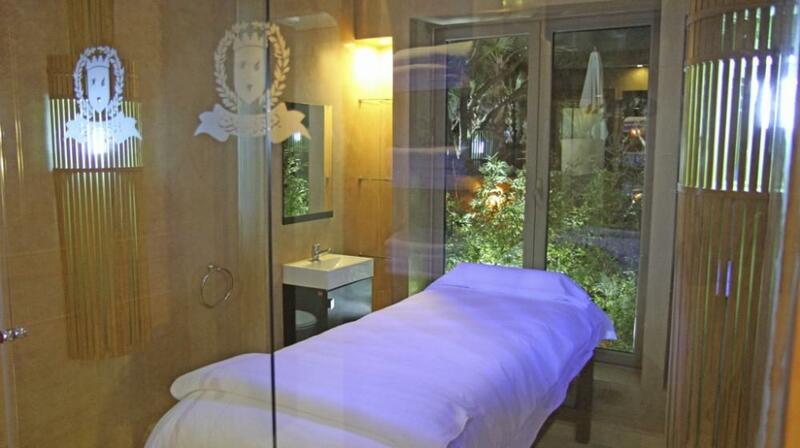 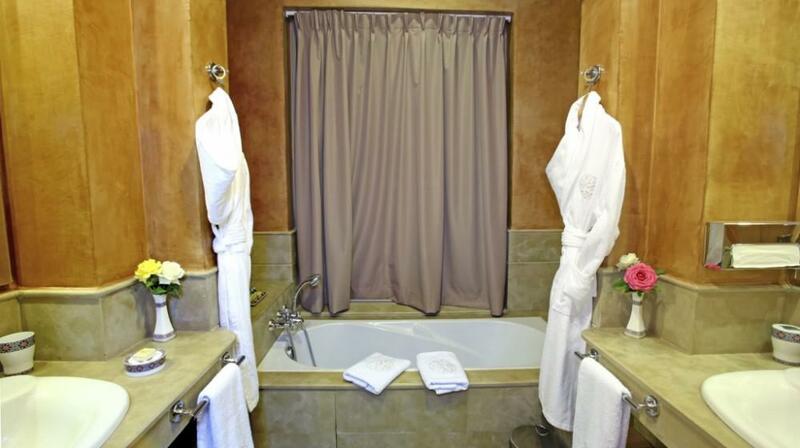 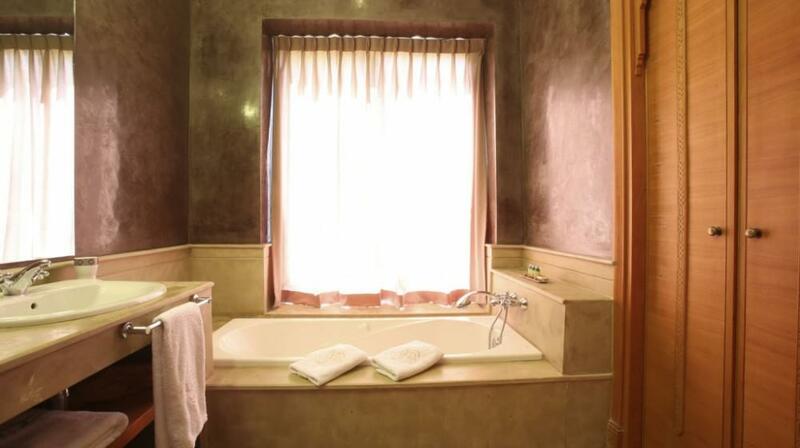 Come and discover treatments that will help you rest and relax with the help of a refreshing scrub, or a massage.